Why Is Visual Regression Testing needed? As the saying goes, necessity is the mother of invention. The need for catching user interface level bugs or CSS breaks resulted in the creation of visual regression testing tools. Catching CSS breaks gets tougher with every sprint or build since there are so many elements and components in a website that might get affected. In the era of continuous integration and agile, not only has catching bugs become more important, but also catching them as close as possible to the point of introduction. Having said that, the tool, Wraith, that will be introduced in this blog post is one that can be used by front-end developers, testers and QA personnel to identify UI breaks in no time. Visual regression testing is done to verify user interface components in a web page or application by taking screenshots of the page and comparing them with the desired page or layout. To carry this out, we should know the expected behavior, so that actual UI elements can be compared with the expected layout. For example, if a change causes the font size of a “Learn More” button to change by a few pixels, it would be difficult for a tester to catch such a difference as the project progresses, since the theming looks intact even though it varies from the style guide. Visual regression tools would catch such bugs in no time and would also let the QA person know through the output format. Wraith is a very powerful screenshot comparison tool developed by the BBC News developers. It can take screenshots of your web page and compare them with another instance, test the page for responsiveness, compare pages on the same site over time, and also crawl your website and provide all the paths for testing. The best feature of this tool is that it is very easy to install, explore and implement. If as a QA person you are able to learn to use this tool and implement it in your projects, it will save you a lot of time in testing your websites. NOTE: Refer to http://bbc-news.github.io/wraith/os-install.html for installation steps as per the OS you have. Wraith operates in two main modes: ‘Capture’ mode and ‘History’ mode. Capture Mode works by comparing two sites against each other. The best example here is when we are comparing our test instance with the live site and want to highlight the differences. 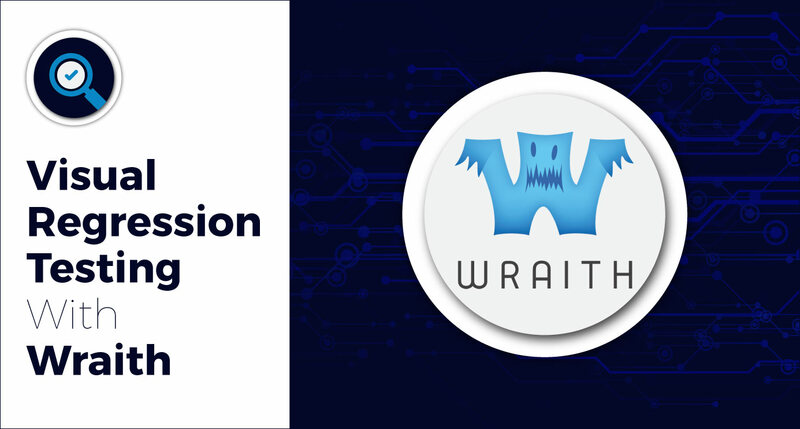 Once you have installed Wraith and all its prerequisites, you will have to create and run a config file, which is basically a yaml file which contains all the configurations to be executed via the command line. # (required) The domain to take screenshots of. # (required) The paths to capture. This particular config is using casperjs, so we can take screenshots of selectors rather than the entire page. # (required) Screen widths (and optional height) to resize the browser to before taking the screenshot. # (required) Amount of fuzz ImageMagick will use when comparing images. A higher fuzz makes the comparison less strict. # (optional) Specify the template (and generated thumbnail sizes) for the gallery output. # Note: different screen widths are always grouped together. History Mode compares the same instances of your website over time. The command wraith history is used to create base screenshots, and then the wraith latest command creates new screenshots, compares them with the base directory and spots discrepancies. # (required for history mode, otherwise optional) The directory that your base screenshots will be stored in. This is a browser which does not have a Graphical User Interface (GUI) and which runs in the backend via the command line interface. In Wraith, PhantomJS and CasperJS are used as headless browsers. These are the URLs of sites which you want to compare. In Capture mode, there will be two of these, and in History mode, there will be one. 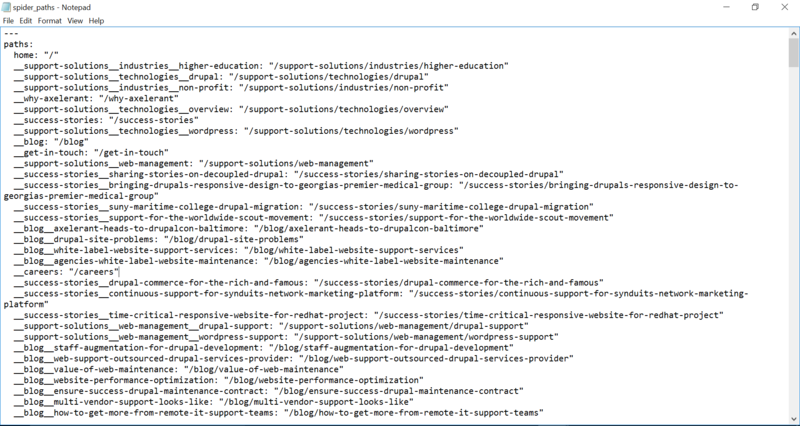 This is the parameter where we include the relative URLs of all pages which we want to compare. This parameter lists the different screen resolutions for which our browser will capture the screenshots. This is an optional parameter for the config file. Through this parameter, we tell Wraith whether it should reload or resize the browser for every screen width you want to take a screenshot of. Resizing is more efficient and quick, while reloading is more costly in terms of resources. This is the directory/folder where the screenshots get stored. ImageMagick uses this property to measure the difference in color between two images. A higher fuzz means a less strict comparison. Normally, we maintain fuzz at 20%. Before reporting a failure, Wraith compares two images. The value upto which Wraith does not consider the difference between the two images as a failure is the Threshold Value. This value is entered as a percentage. Output generation is a two-step process. The first step involves a headless browser, such as PhantomJS and CasperJS, which captures the screenshots. The second involves ImageMagick, which compares the screenshots and creates a diff image, which is nothing but highlighting the differences between two images. Images are captured and compared on all resolutions as per what we provide in the config file. For example, in Capture mode, images are captured—one from the test instance and one from live—and then these are compared, giving a diff image.The third image shows changes in blue (this color can also be changed to red). Until now, we’ve seen the Capture and History modes, which capture full-page screenshots of the paths mentioned in the config file. There may be cases when we don’t need to compare the entire page but need to check a specific component or block. For this purpose, we use “CasperJS and pass a selector” along with paths in the config file. 1. The first step here is to use the browser CasperJS. 3. Finally, run the config file to produce the gallery from the selectors. Use the command wraith capture configs/filename.yaml. 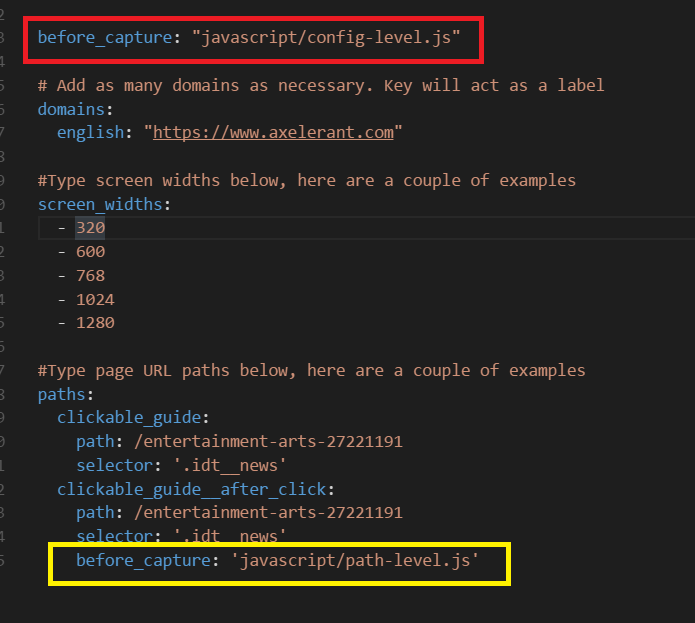 Global hooks are executed for the entire config file, whereas path level hooks are executed only for the path below which the before_capture hook is specified. Global hooks are always executed before path level hooks. More about hooks can be learnt here. The same property also works for CasperJS which is used during the section-wise comparison with the help of selectors. Unfortunately, the use of this property is not mentioned anywhere in the documentation. After running the command, open “spider_paths.yaml” and you would see that all the paths are listed from the site specified in the domain. Now, the “spider_mode.yaml” file can be used with Capture and History mode as described previously. Extremely easy and quick to set up/install on all operating systems. You can get started with automated visual regression testing immediately by just modifying pre-existing config files, without having to write a single line of code. Output easy to read, which in turn helps in finding bugs quickly. Not very good when it comes to handling dynamic content. Don’t try to test all the visuals: As with all other automation tools, the statement “Automation cannot entirely replace manual work” holds true in this case as well. Target areas/components which are reused and more fragile. Full page screenshots are not recommended: If you try to capture everything in a single screenshot, you might end up with false results. Component level screenshots are preferable to full-length screenshots for a couple of reasons. Firstly, you can run the test for only the changed components, making your results more specific and of interest. Secondly, it would also save a lot your time—full-page screenshots take much longer, and sometimes you might end up with timeout errors. PhantomCSS handles dynamic content in a better fashion because it is built over CasperJS, which comes with a rich set of library functions to handle events. For more information, click here. Gemini goes one step ahead and provides features like running tests on various browsers. It is also preferable in a continuous integration environment. For more information, click here.